An aggregate is one of the ingredients used to make concrete, along with cement and water. It is classed as a composite material, and adds strength and bulk to the finished product. Common aggregates are stones, gravel and sand. Depending on the intended application and type of the concrete, different aggregates can be used. Large stones or coarse gravel will be used for in-filling or structural concrete, whereas a very fine gravel or sharp sand would be used for screed or decorative concrete to ensure a smooth finish. A boom pump is a piece of machinery or a vehicle that is used to transport concrete from a hopper to the pour site along a series of connected pipes and hoses. 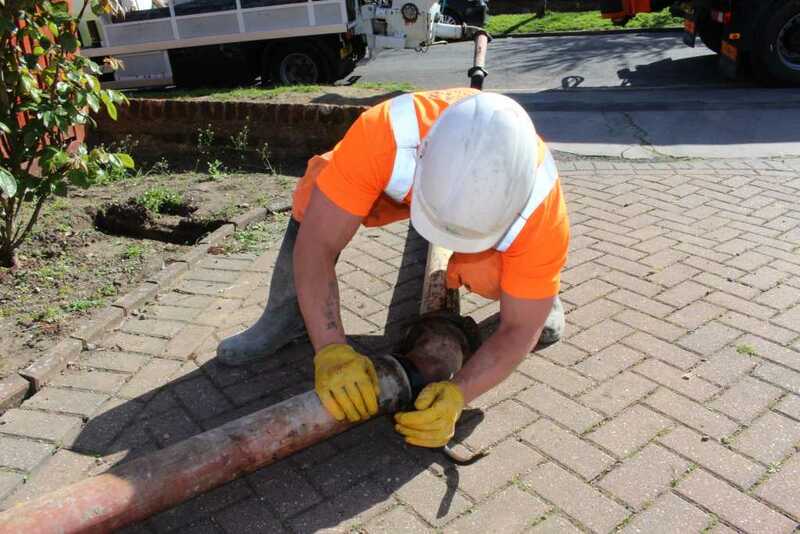 Concrete is delivered to site at around 1m³ per minute and the pumps feature an hydraulic arm which can lift and place the concrete pipes into particularly difficult access areas. A boom pump is used to deliver concrete to the highest, lowest and most difficult access areas and are often used on large sites to speed up delivery, or for domestic sites when wheelbarrowing or a ground line pump would be unsuitable. Cement is a fine, dry powdery substance used in construction as a binding material, and most commonly used to make concrete. Once mixed with an aggregate and water, the cement sets and hardens – a process known as curing – to give the concrete its strength and durability. Cement usually makes up between 10% and 15% of the concrete mixture. Concrete is a composite building material made of aggregates, such as sand and stone, water and, most importantly, cement. It is a structural material, used for a variety of purposes, from foundations and footings and back filling trenches, to the construction of walls, floors and larger buildings such as bridges and dams. The aggregates and cement ensure concrete is a long-lasting material that provides support and enhanced structural integrity for any structure. A concrete pump is a piece of machinery used to transport wet mixed concrete from the concrete mixer vehicle to the pour location along a series of connected pipes. There are two types of pump – boom and ground line – and both provide fast, efficient and clean access to difficult locations. A cubic metre is a unit of volume in the shape of a cube. It is measured at one metre in length, breadth and height (1m3), and has 1,000 litres of space. Curing is the process of setting concrete that gives it its strength and durability – often incorrectly called drying. To cure properly and reach its full strength, the concrete must not dry out too quickly as the moisture from the water is essential to the chemical reaction caused by the cement that causes the hardening. Although the curing process will continue forever, which means the concrete will continue to get stronger forever, the concrete will have reached its designed strength after 28 days. If the concrete has been poured in very hot temperatures (unlikely in the UK) it may need to be kept damp and covered to stop the moisture evaporating too quickly, as this could lead to weak, cracked and brittle concrete. At EasyMix, you might hear us say that we have a solution for even the most difficult to access areas, but what does that mean? Easy access sites would have somewhere for us to conveniently park nearby the required location. It might be that your concrete can then be poured directly from the truck’s chute into the required place, or into wheelbarrows where it can be safely transported to the site. Curing is the process of setting concrete that gives it its strength, and although the curing process will continue for ever, which means the concrete will continue to get stronger, the concrete will have reached its final strength after 28 days. This is the strength it was designed to be when mixed. 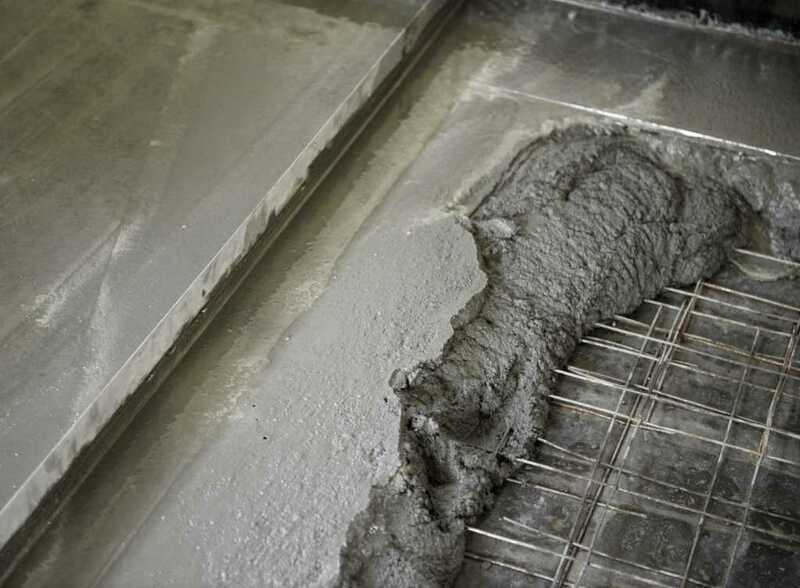 If the concrete is being used for a lightweight project, such as a pedestrian walkway or floor, it is unlikely you will need to wait for the concrete to reach its final strength before using it. However if the project is more structurally reliant on the strength of the concrete, such as high-rise build or for industrial applications, further development or use must not happen until the concrete has reached its designed or final strength at day 28. There are many different types of concrete, and each type of concrete is graded according to its strength and suitability. 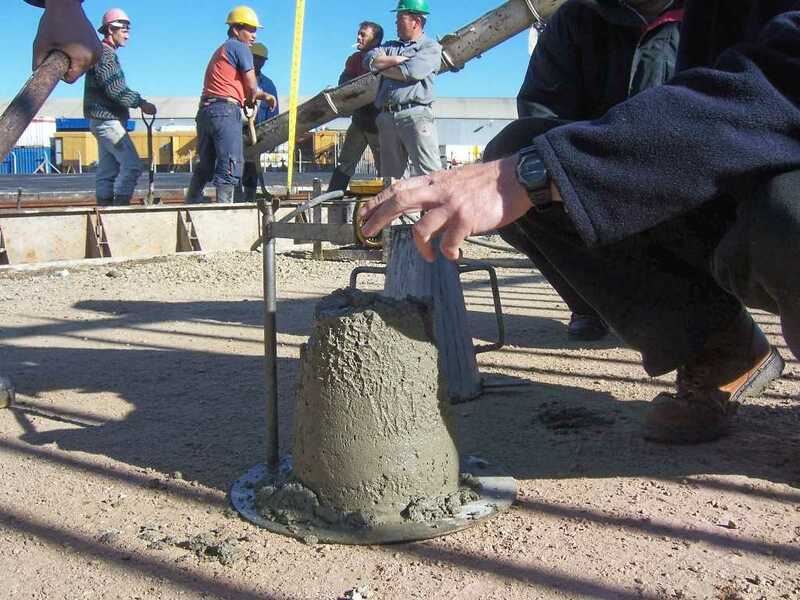 Modern concrete mixes, or grades, can be quite complex to suit a range of different applications and conditions. The grade will be determined by the ratio and type of ingredients and the resulting strength of the concrete. Click here to read more about the types and strengths of different concrete mixes. A ground line pump is a piece of machinery or a vehicle that is used to transport concrete from a hopper to the pour site along a series of connected pipes and hoses. Concrete is delivered to site at around 1m³ per minute. The pipes and hoses are laid along the ground to easily navigate corners, obstacles and difficult to access areas. A ground pump can also be used to deliver concrete to sites situated behind other buildings, as the pipes can be laid through a building (with polythene to protect interiors if necessary), or for commercial sites set back from the road where wheelbarrowing or a boom pump would be unsuitable. Similarly to concrete, mortar is a widely used building material composed of cement, aggregate and water, but both materials have very different properties and applications. Mortar is usually made from sand aggregate and uses much more cement than concrete, giving it a much thicker consistency that can be used to hold building materials together, such as in bricklaying. On-site mixed concrete is concrete that is not pre-mixed at a factory or batching plant. The term on-site mixed usually refers to volumetric concrete, which uses a volumetric concrete mixer vehicle, or metered concrete truck. These vehicles carry the ingredients and water onboard ready to mix up the exact required amount and grade of concrete at the job site to ensure the concrete suits the application and conditions and limit waste. On-site mixed concrete can also refer to a barrel mixer, when only a small amount of concrete is needed, usually for a DIY project, and the builder buys the ingredients and mixes the concrete on site. Piling is a technique used to set deep foundations ready for construction work. Piling works by inserting large amounts of a robust material, such as concrete, into the ground beneath a new development. Usually piling will result in many sturdy and deep columns of concrete that will provide the support required for many different types of structure or development. A concrete plant, or a concrete batching plant, is a set of specialist equipment used to combine the various ingredients for concrete. The plant mixes the concrete in huge batches before transferring it to concrete delivery vehicles where it can be transported to the required sites. Reinforced concrete is classed as a composite material as the concrete is combined with reinforcement (usually steel rebars or mesh) to enhance the tensile strength and ductility of the material. This reinforced material can be used in various construction applications, from slabs, walls and beams to foundations, piling and frames. It can also be cast in place, or precast and installed. Without reinforcement, many large, modern concrete structures and components would not be possible. Screed is a thin layer of specialist concrete which is poured over a concrete floor base (or even over underfloor heating) to create a smooth, level surface that can accommodate the final floor covering such as carpet or tile. Most screeds are made from cement and sharp sand, for a fine screed, or cement and a more coarse 6-10mm aggregate for heavy duty or industrial screed. Concrete slump refers to the consistency of the concrete, or how easily it flows. A concrete that flows freely is said to have a high slump, and a concrete with a low slump will not flow much at all. On-site mixed, or volumetric concrete is concrete that is not pre-mixed at a factory or batching plant. The name comes from the type of mixer vehicle used to mix and dispense the concrete: a volumetric concrete mixer vehicle. These are metered concrete trucks that carry the ingredients and water onboard ready to mix up the required grade of concrete at the job site. Volumetric mixer vehicles deliver only the amount of concrete required so there is no waste, and the customer only pays for what is required, so no half-load charges.